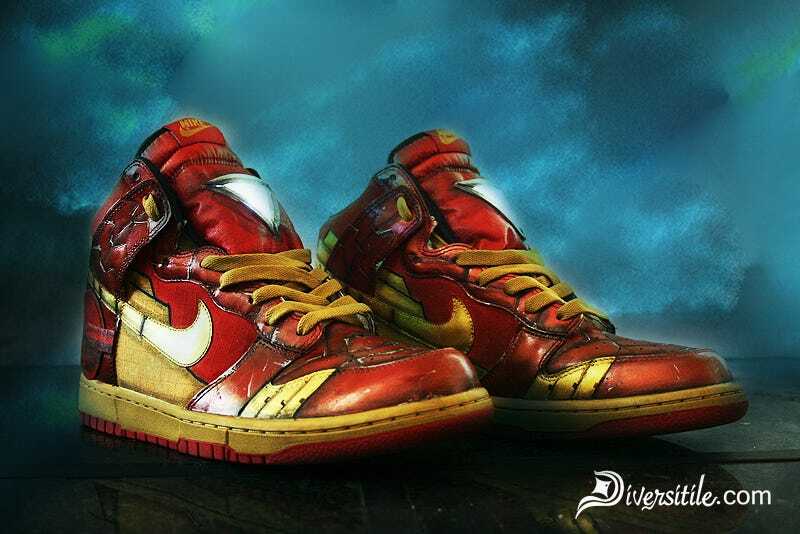 These incredible Iron Man and War Machine sneakers aren't some fanciful Photoshop mock-ups. They exist, are going on sale, and actually light up. Custom sneaker builders Diversitile will be selling a limited run of these, both Nike SB Dunk Highs, pretty soon. Both feature authentic paintjobs, some texture work and stitching to match the respective hero's armour and of course, the centrepiece, a replica arc reactor on the tongue. No idea on price or date of availability yet, but the link below will be the place to look.